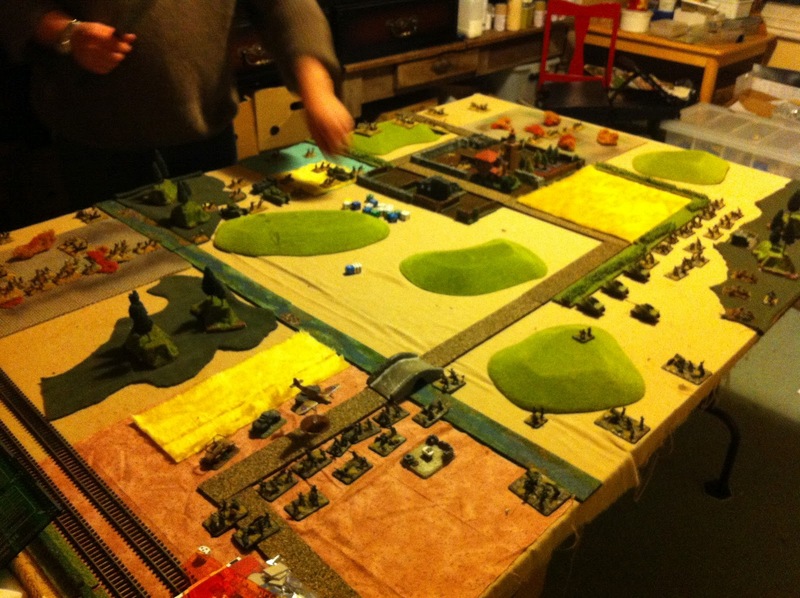 First game of FOW last night. We played MW 1500 points my Fallschirmjager vs I think Indian rifles (from North africa book). I could be wrong on the indian force but that was basically it. We played a free for all. Tha table had a reasonable amount of terrain with a big village just to the right where I planned to run a platoon of FJ through to try and grab the objective while my other platoon dug in at the back. Start of the game, all deployed. First turn and the hurricane swooped down and took out 3 FJ infantry stands (yikes). thankfully after that the hurricane never showed up the rest of the game!! 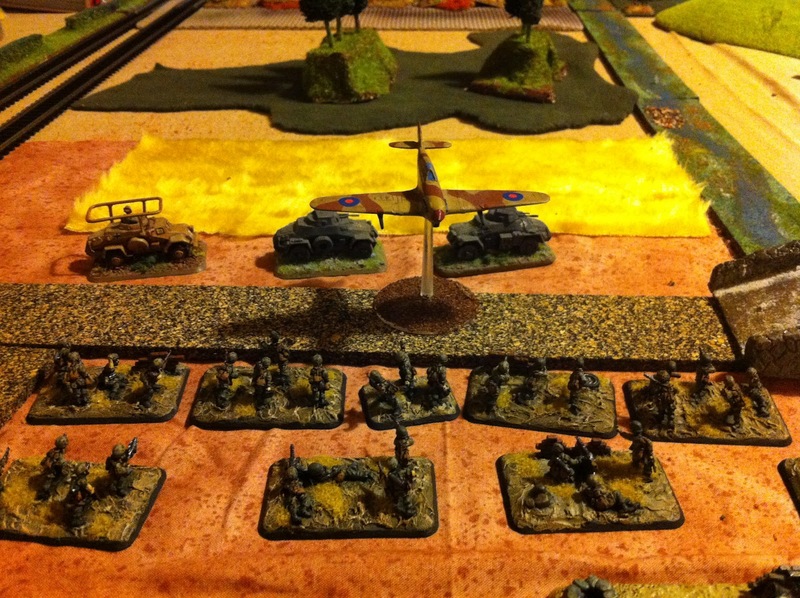 The Indians went first and rumbled their churchills forward. Two poked their heads over the brow of a hil and had a shot at my marders (gulp). Luck went my way and only one was bailed. The rest of the indians tried to dig in across the table with little success. 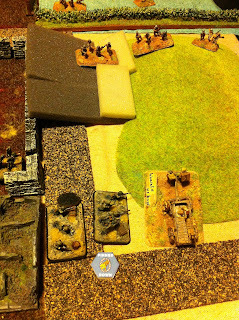 One indian platoon pushed forward on my left flank to threaten the left hand objective. 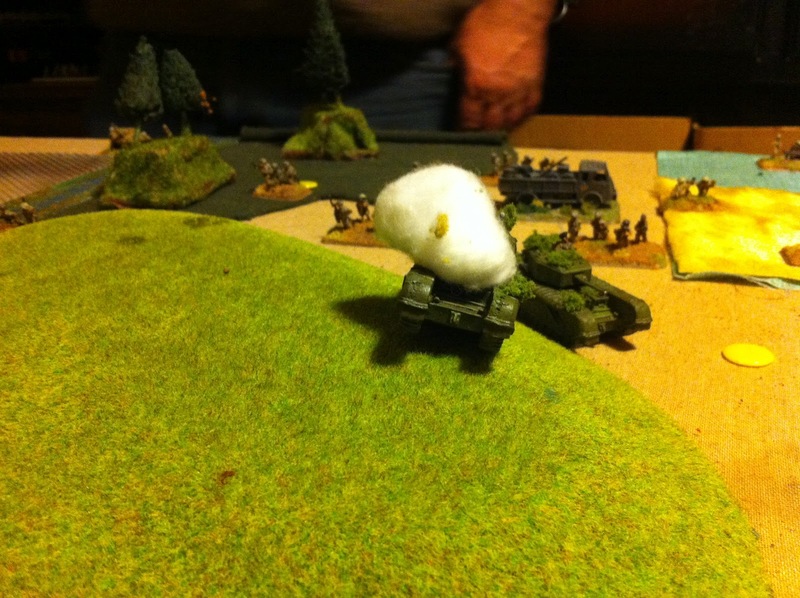 My turn and the marders opened up on the churchills destroying one. This was quite pivotal for the game as my opponent really from there on in pulled them back and they contributed not much. 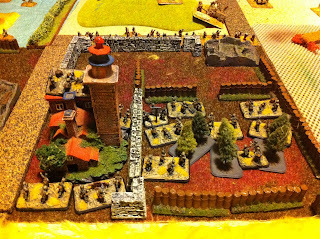 The game really unfolded with me pushing through the village and the indian platoon tasked with defending in repeatly not digging in, getting pinned and shot by my nebs. 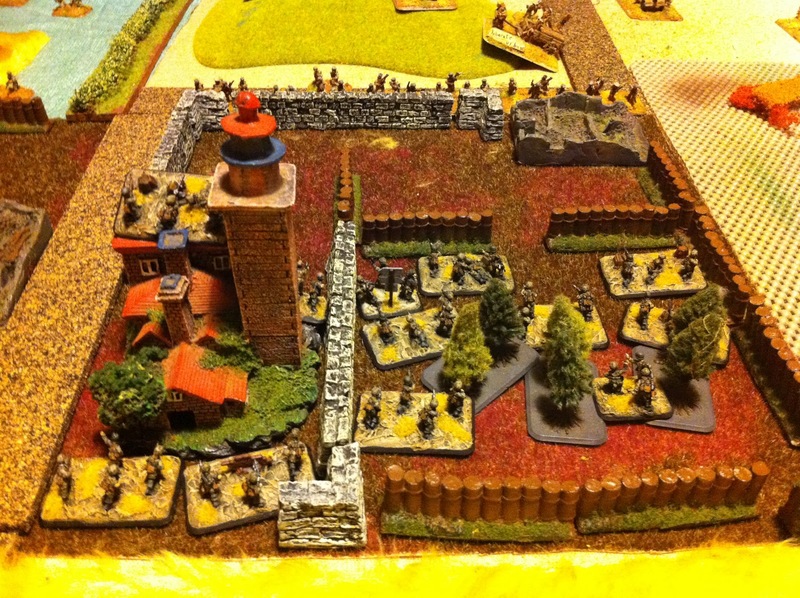 I then got lucky and took out the artillary behind the village thnks again to my nebs and marders (who had refused flanked and shot around the right to shoot up the artillary on the hill). So my FJ platoon assualted forward with mortars dropping down smoke but despite all my shooting I could not pin the indian platoon. His defensive fire only came up with 4 hits (though I did fail 3 saves) and my assualt crashed home. At the end the indians were gone and my FJ were down to 3 stands. However they moved forward onto the objective and with my opponent throwing everything at me they only lost one more stand made their morale roll and game won 6-1.